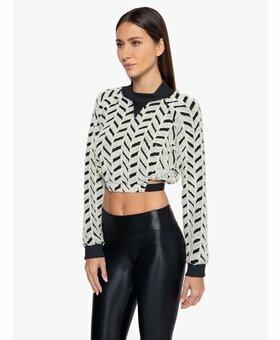 The Deuces Shantung High Rise Legging is a very trendy ankle length legging. 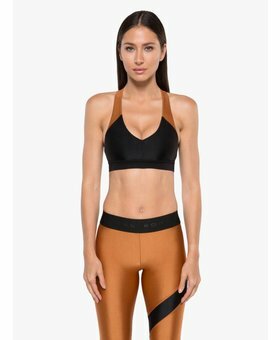 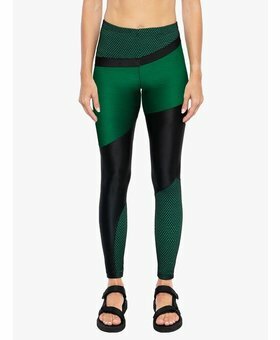 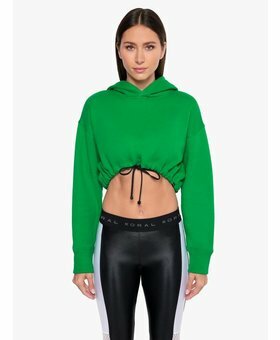 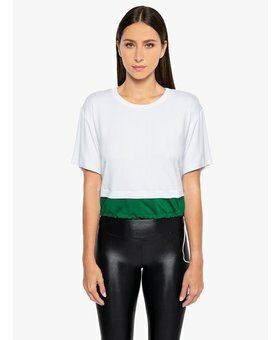 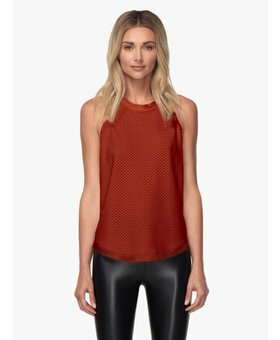 Features are a mixed fabric legging, two different colors and a combination of different material such as black mesh paneling at waist and calves and some shiny black color block detailing. 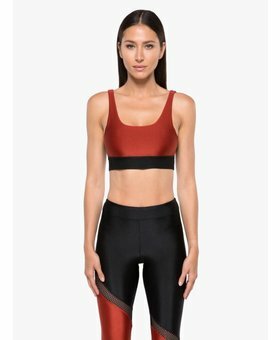 Perfect legging for high performance workouts such as hiit, bootcamp or boxing, and also very nice to wear this tight with some heels to a party.